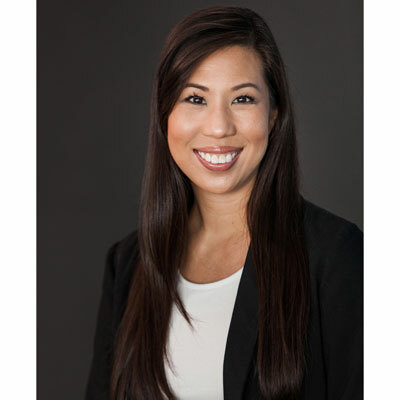 Lei-Lei is the dynamic Channel Marketing Director for North America at Snow Software Inc. A teacher and motivator at heart, she spent majority of her career in the reseller industry gaining experience in sales, sales & partner enablement, and managing strategic alliances. Not afraid to take on new challenges, Lei-Lei has since taken on channel marketing, instrumental in helping accelerate the channel-first strategy at Snow. In her current role, she is known for her tireless energy and passion for finding innovative ways to generate pipeline for the Snow channel partner ecosystem. When not working, Lei-Lei enjoys traveling and is an avid foodie with a self-admitted queso addiction. Lei-Lei was instrumental in the creation and launch of many of Snow's first online resources and tools to enable partners - such as Snow's Partner Portal, Snow Academy, and Snow Community. From pioneering innovative marketing campaigns and new methods to generate demand to be the voice of partners for North American in a global company. Lei-Lei's input has helped shape the current strategy for the partners in North America and how Snow enables and support all partners going forward. My goal for the channel business is to drive deeper engagements, to achieve the best value exchange between Snow and all our partners and customers, and therefore the best experience working with Snow. My focus is to drive Snow's brand awareness and relevance in the industry by evangelizing how Snow can deliver forward-thinking software asset management expertise, in addition to the automation and analytics required to close the Disruption Gap that is prevalent in organizations today due to digital transformation. 1. "Be Brave" Snow Spirit Award- Nominated by Snow North America Leadership team and awarded by John Clark, President of Snow Americas. The "Be Brave" award was presented to me for being a role model for how to be brave through changing times- for taking calculated risks, for being agile and adapting to change quickly. 2. Best Whiteboard Presentation - during the Snow inaugural whiteboard training presentation contest among all the sellers and channel team across North America. This award was nominated by all the employees attending and voted by the Snow leadership team. Ginny Rometty, CEO of IBM. Ginny's quote said it best: "I learned to always take on new things I'd never done before. Growth and comfort do not coexist. " Ginny served as a role model for me and empowered me to be brave and challenge myself to embrace getting out of my comfort zone and take on new roles, new challenges. Embrace change. Get out of your comfort zone and try new things. Do not be afraid to fail. Public speaking. I am passionate about teaching and mentoring others. As a coach and mentor, I am confident in my abilities to empower people in a one on one or small group setting. However, I'd like to be able to affect positive impact on a large scale and would therefore require being a charismatic public speaker. Steve Peter's The Chimp Paradox. This book gave me with an understanding of why we make the decisions that we make by breaking down the human side (rational) vs the chimp side (emotional) of the brain. In year where I went through a lot of changes both personally and professionally, this book provided me with a framework for making decisions which contributed to more confidence, which led to more success, and ultimately happiness.